Many people find that chickens are just so destructive in the garden - their scratching for bugs may win them prizes in the pest control department, but for the gardener discovering the damage that a few birds can inflict on a recently germinated bed of lettuce it's heart breaking. Letting your backyard chickens run loose is an invitation to predators - like the neighbors dog, a hawk or owl, or even a fox to have free lunch. 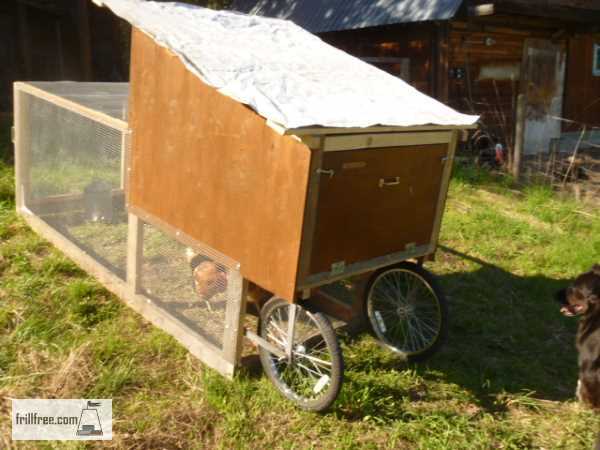 There is a way to have the best of both worlds; build a chicken tractor. 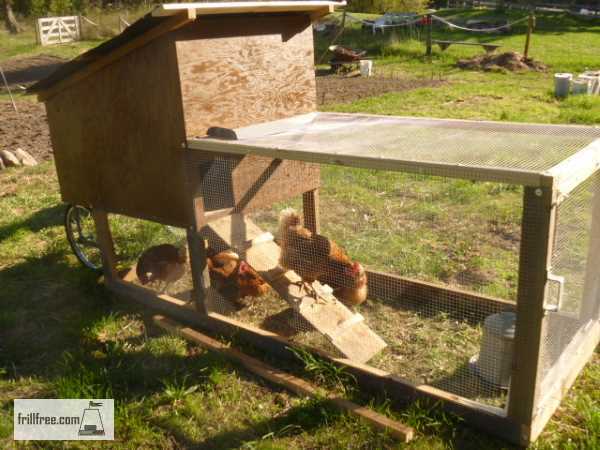 Sometimes called a chicken ark, or a moveable pen, this is an innovative way to move the chickens around so that they always have fresh pasture to nibble on and fertilize, new bugs to eat, and best of all, protection from predators such as dogs, cats or hawks. The tractor generally will have wheels on it, so it can be dragged around, a few feet at a time. By necessity, the area you use it on will have to be relatively flat, so that it can roll, and also not roll away down a hill. The fact that you will be moving it makes it essential that it's not too heavy, and can be moved by hand. My neighbor got busy and built one for his chickens. It's important to give your birds fresh water and some of their usual feed; they can't survive on what they find in the grass. The tractor should be moved every day, or two so it doesn't wear the grass down too much, to allow the birds to have access to fresh pasture, and so they're not exposed to their own manure for too long. 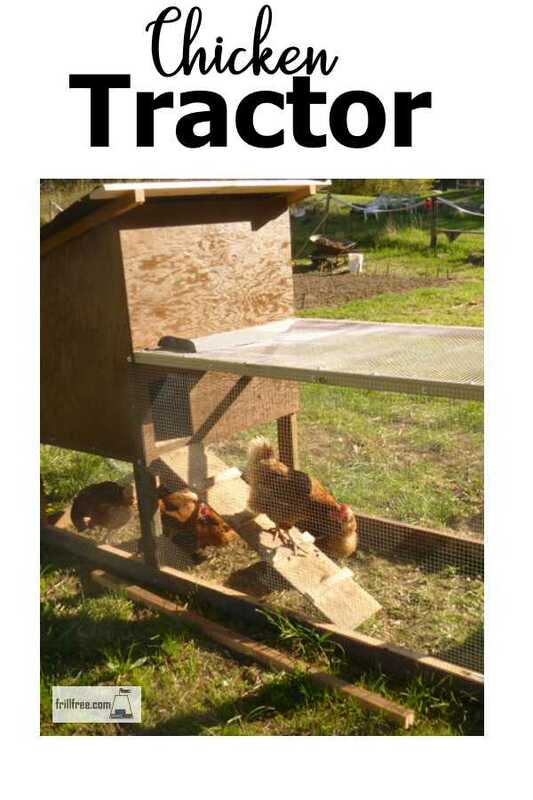 I probably wouldn't leave my birds in the tractor overnight, due to the sheer numbers of predators close by; if your garden is fenced, then you might be okay to do this and not worry about a dog or other animal making your precious birds into their dinner. A solar powered electric fence around the perimeter certainly will make even the hungriest of critters think twice about the wisdom of breaking in. A couple of nesting boxes so the hens can go in and lay their eggs in peace is essential. 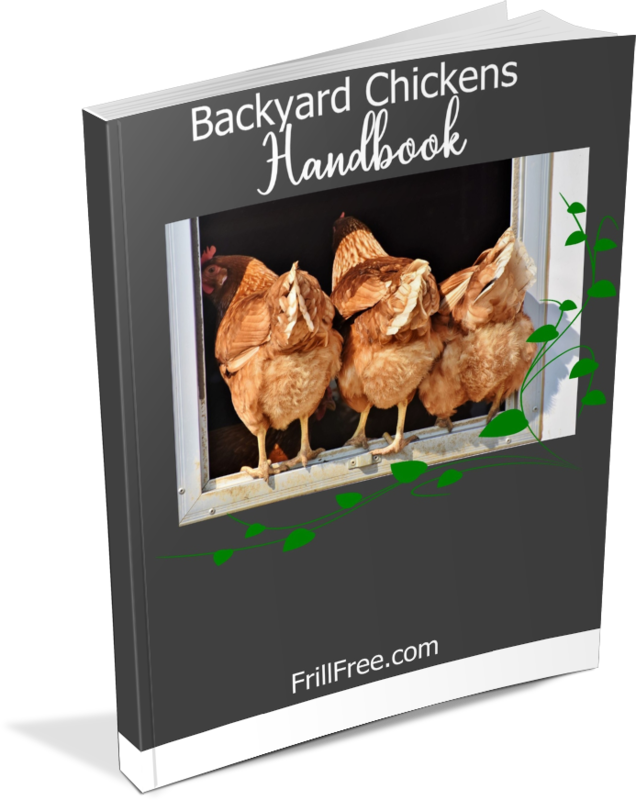 Buy the Backyard Chickens Handbook!